Enterplay has just announced the release dates for The Crystal Games. Release dates for Theme Decks is set for 11/21, and Booster Packs for 12/5. 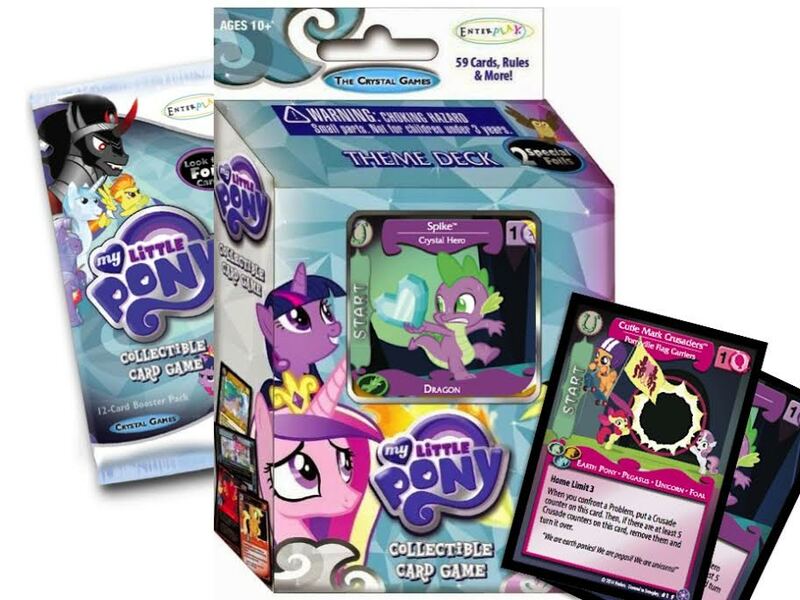 Each Theme Deck will have two Mane Characters - One special foil featured in the window and one regular card behind it. Spike pairs with "Bubbly Mare (AKA Derpy)" and the CMC pair with Princess Cadance. We've been told that she has 3 roles in this release - Equestrian Mailmare, Bubbly Mare and we are wondering what the third appearance might be? Pre-release is scheduled for 11/14, details are scarce, but Enterplay is promising at least as many locations as for Canterlot Nights and maybe more. Check with your favorite game store and make sure they've signed up!